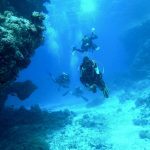 Tagged: Divemaster, Divemaster internship, Diving in Tenerife, PADI Courses, PADI Divemaster internship Tenerife. ‹ Done it, Im a PADI Divemaster………. Whats next?